Guests are reminded that large bags, backpacks, luggage, laptops, tablets, coolers, briefcases and like articles are strictly prohibited from the facility. Patrons with prohibited articles will be turned away at the entrances and no storage or check area will be provided for such items. Enforcement will be without exceptions. There is no storage available inside the building. Guests, including law enforcement personnel not present in an official capacity, are prohibited from bringing weapons into the arena. TD Garden does not provide lockers of any type. Weapons include, but are not limited to, the following: firearms, explosives, stun guns, handcuffs, brass knuckles, sticks, clubs, batons, martial arts instruments, pepper spray, tear gas and knives. Guests found in possession of the above-mentioned items will be asked to remove the item from the arena or dispose of it. Guests who refuse to comply will not be permitted entry into the arena. Violation of the above rules and regulations will result in eviction and/or arrest. Consumer Warning – The TD Garden uses bar code scanning for ticket admissions. As a result, fans should be careful when purchasing tickets and should ensure that the seller is a TD Garden licensed ticket seller, such as the TD Garden Box Office, all Ticketmaster outlets, Ticketmaster by phone, and Ticketmaster.com. Otherwise, you may be purchasing a ticket that is invalid and will be denied admission. There is no pre-distribution of wristbands. All GA floor ticket holders will enter at the time of GA doors, which is typically 90 minutes prior to show start. Stairwell 4 is the primary stairwell for GA entrance and is located on the west side of the building across from Tasty Burger. TD Garden is not a 24-hour facility. Line forming, gathering and/or camping out is prohibited. *The general admission entry process and entrance location is subject to change with little to no notice. Any and all changes will be updated on the TD Garden website/app and can be viewed by clicking on the specific event on the main page of the site. There is no pre-distribution of wristbands. All GA pit ticket holders will enter at the standard show door time, which is typically 60 minutes prior to show start. Legends Express door is the primary entry for GA pit entrances and is located on the west side of the building across from the Tip O’Neill Federal Building. TD Garden is not a 24-hour facility. Line forming, gathering and/or camping out is prohibited. A valid active military identification card with a photo which proves that the patron is 21 years of age or older. TD Garden is a No Passing Zone Providing alcoholic beverages to anyone under the age of 21 at TD Garden is against the law. 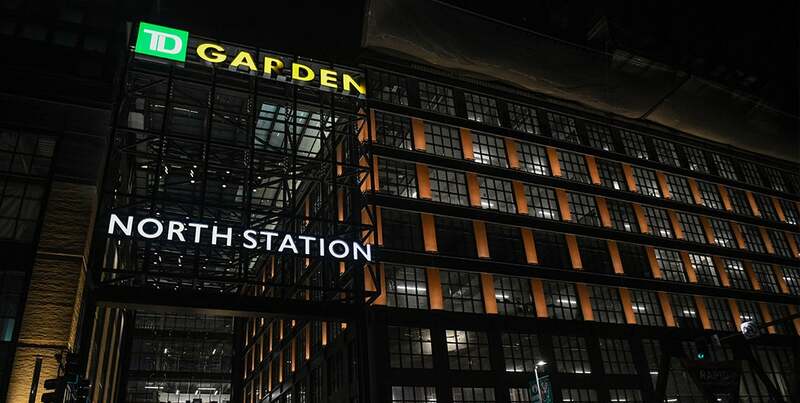 Violators who provide alcoholic beverages to anyone under the age of 21, as well as anyone under the age of 21 who accepts an alcoholic beverage, will be evicted from TD Garden and could face prosecution and revocation of season tickets or other privileges. Dietary Needs Guests may not bring food and/or beverage items into the arena at any time. Guests must dispose of the unauthorized items prior to entrance into the arena. The Guest Services Office will not check-in or store any food or beverage items. Guests with specific/special dietary needs due to medical conditions or religious requirements should contact TD Garden at 617-624-1331 or send an email to [email protected]. Door Opening Times The time the doors to TD Garden open will vary according to the event. The typical times are noted below. Please check in advance by calling 617-624-1300. Bruins: Member Doors open two hours prior to game time; General doors open one hour prior to game time unless otherwise specifically noted. Celtics: Member Doors open two hours prior to game time; General doors open one hour prior to game time unless otherwise specifically noted. Concerts: Doors open one hour prior to the event unless otherwise specifically noted. No Re-Entry During Events TD Garden has a no re-entry policy during events. Guests who need to exit and re-enter due to personal emergencies (i.e. retrieve medicine from vehicle), must first make contact with a Guest Services Supervisor in Guest Services at Level 4, Loge 4 to make necessary arrangements. 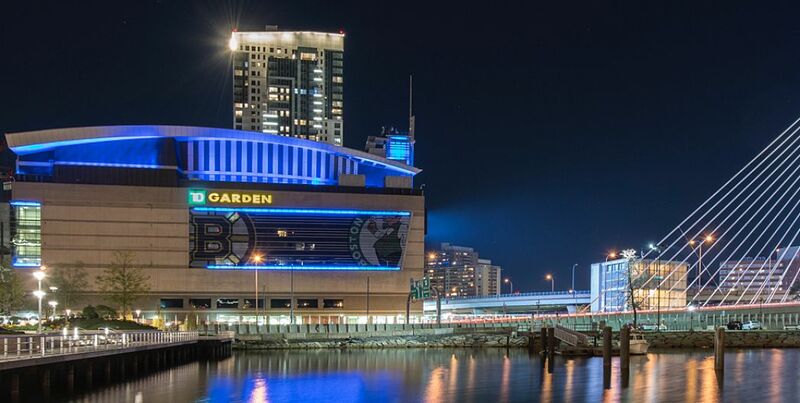 TD Garden meets or exceeds all structural and service requirements as stipulated by the Americans with Disabilities Act. The First Aid office is located on Level 4 across from Section 15/16. Children should be told to contact the nearest TD Garden staff member should they become lost. Lost children will be taken to the Guest Services Office (Level 4, Section 4). Parents looking for a lost child should go to this office as well or call 617-624-3000.